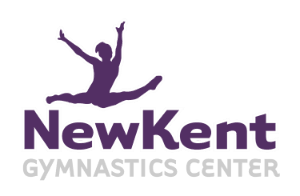 "In looking for a place to allow my kids to have fun, make friends, and learn something new all at the same time - we found New Kent Gymnastics Center. From day one - the coaches, staff, and the kids welcomed my family with open arms. Over the last 3 years NKGC has become our home away from home. What NKGC has done for my children can never be replaced. The coaches here have done an amazing job in just a few short years. My children love going to practice and love being with their coaches. Thank you Carissa for building such an amazing program. We love you and your staff, your gym and your mission." "We are so happy that our daughter has the opportunity to take gymnastics at New Kent Gymnastics Center. Its close and convenient. It has excellent equipment. Most importantly, it has a small gym feel. The team sizes are small and the kids get tons of individual attention. Our daughter has made tons of friends there and loves being at the gym!" "My 2 year old pulls out her leotard and asks "nastics?" at least three times a week and my 4 year old has been attending for almost 3 years and loves it." My daughter Nadia goes to NKGC. As soon as she saw their logo in the parks and rec book she says "Mom! New Kent County Gymnastics. That's my place! I love my place!" This center has given her confidence in front of crowds and a place to not only get out her extra energy but push her natural talent. I'm so happy that we found a place for Nadia to grow and learn - to be challenged and regularly encouraged. Thanks so much to Ms. Bethany (who is her instructor), Dayna, Carissa and everyone who makes this center run!